Welcome to North Coast Creations September Release! This month, North Coast Creations is releasing two Christmas stamps and one Fall stamp set. Continue reading below to find out how you can win one of two North Coast Creations $10 Gift Certificates good towards the purchase of NCC Stamps. 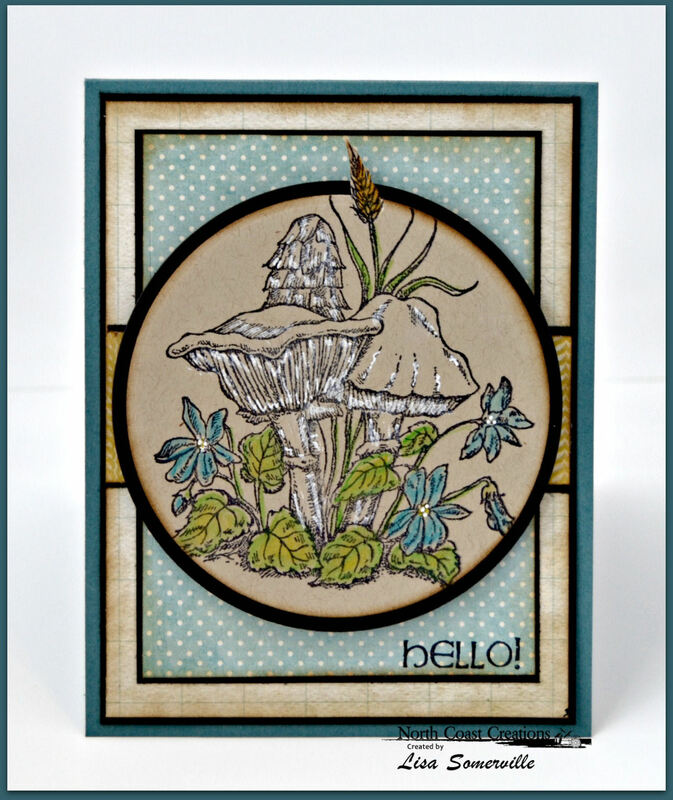 I stamped the Mushroom on Kraft card stock, coloring the leaves and flowers with STAEDTLER Karat Aquarell Watercolor Pencils, and added White Gel Pen to the mushrooms. 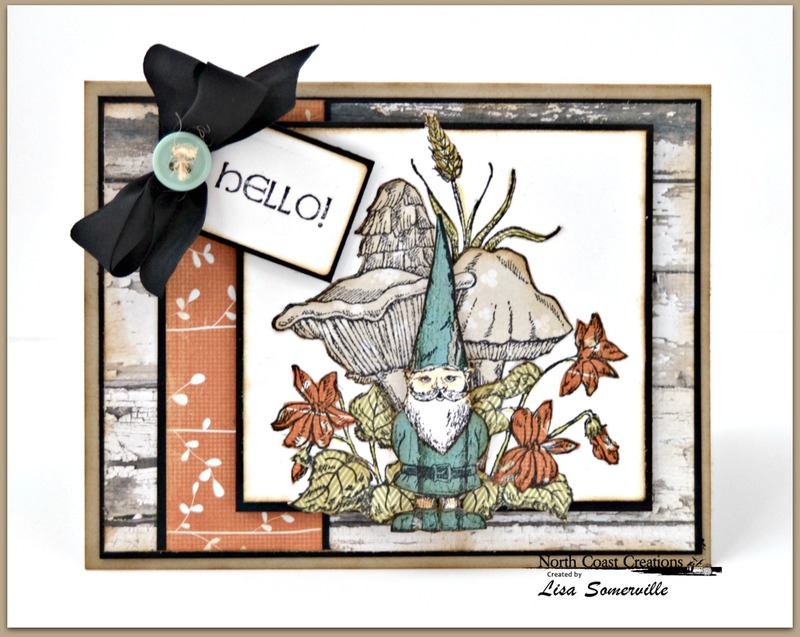 To created this card, I paper pieced both the Gnome and Mushroom, the sentiment is stamped in Black on the smallest tag from ODBD Recipe Card and Tags Die. Two randomly selected winners will each receive a $10 gift certificate to North Coast Creations, good towards the purchase of NCC stamps, just for commenting on the Design Team cards! 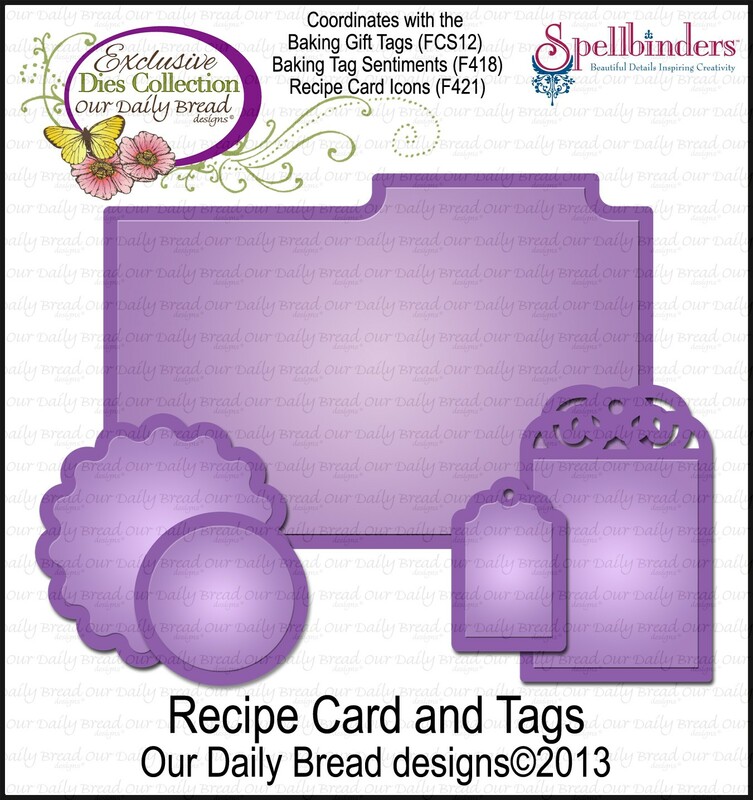 You have until September 17, 2014 at 10:00 PM EDT to leave a comments on the NCC Blog or the participating designers blogs for a chance to win! Winners will be posted September 18th, on the North Coast Creations Blog, so be sure to check back there to see if you are one of the winners! Pretty with the white highlights on your first card, and love the soft color palette on the second card! That gnome is cute as can be! Great cards! Oh I am just absolutely loving this gnome set! That white gel pen absolutely pops! Such a great job on both cards I can't pick a favorite. Awesome! Love the paper piecing!! how cute! love the paper piecing too! Love this card. 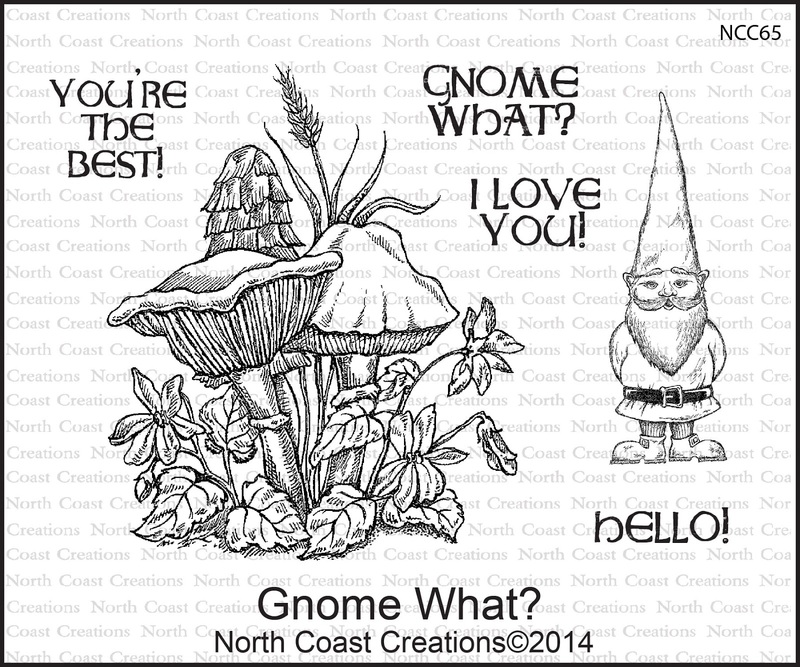 I have a son-in-law that loves gnomes and he would love a card made with that stamp. Both are wonderful, Lisa! Love the papers and matting. Super use of the cute image. I really like how you didn't color the mushrooms on kraft paper but highlighted with the white gel pen! Very cool! Both are great cards Lisa!